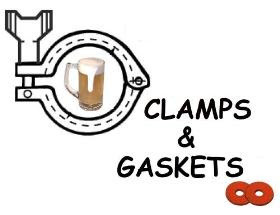 Clamps & Gaskets: News Roundup for Weeks 3/4/5, 2018. Catching up on (waaay) overdue Clamps & Gaskets! In a longterm severe drought, Capetown —South Africa's second most populous city, at 3.7 million people— to literally run out of water by the middle of April, a day dubbed Zero Day. The government has limited citizens to fifty liters of water per day (a bit more than 13 gallons). Happy Brewsters' Day! The Catholic Church celebrates the feast day of Saint Brigid of Kildare (c. 451 – 525 AD) —one of three patron saints of Ireland (with Patrick and Columba)— on 1 February. 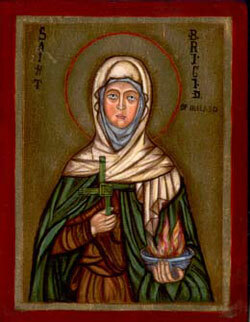 A patron saint of brewers, Brigid herself was a brewer; one miracle attributed to her was turning water into beer. U.S. District Judge Haywood Gilliam has rejected a request by North Coast —a northern California 'craft' brewery— to dismiss a lawsuit by the son of late jazz great Thelonious Monk, who claimed that the brewery ha exploited his father's name and image without permission to sell beer-themed merchandise, such as cups, hoodies, mouse pads, soap and other items, that might appear associated with the musician. Without ruling on the merits, the judge found that it was "more than plausible" that Thelonious Monk, Jr. had a right to control the commercial value of his father's persona. When 'selling out' isn't necessarily selling out. To meet demand, the seven-year-old ,craft' brewery Reaver Beach Brewing, husband-and-wife-owned in Virginia Beach, sells a majority stake to a private Texas investor ... who is a fan of the brewery's Hoptopus 'double' IPA. U.S. brewers shipped 3.8 million fewer barrels of beer in 2017 versus 2016, a 2.2 percent drop, the largest percentage decrease in sixty-three years, according to the Alcohol and Tobacco Tax and Trade Bureau’s (TTB) unofficial estimate of domestic tax paid shipments. 2017 was a great year for Georgia beer, and 2018 looks to continue on that trend. 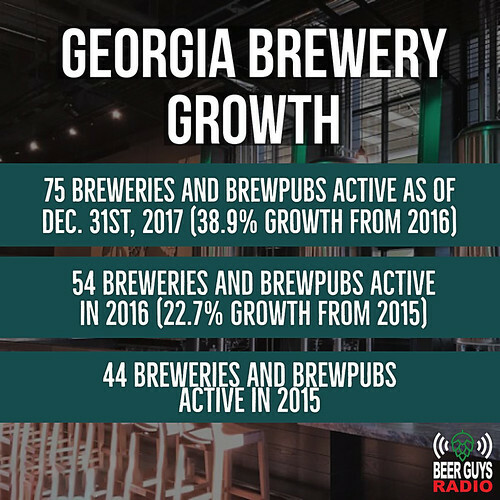 75 breweries and brewpubs active in Georgia, as of 31 December 2017 (38.9% growth over 2016). 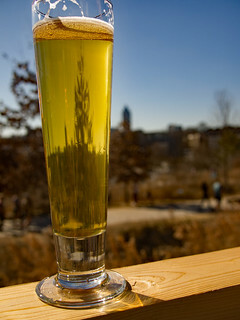 54 breweries and brewpubs active in Georgia as of 31 December 2016 (22.7% growth over 2015). 44 breweries and brewpubs active in 2015. That works out to 70% growth since 2015. On 1 September 2017, Georgia became the 51st (that is, the last) of all 50 states and Washington, D.C. to permit its breweries to sell their own beers in their own taprooms to their own customers. (The penultimate laggard, Mississippi, enabled its permission on 1 July 2017. — More, via Beer Guys Radio. Between 2012 and 2017, U.S. hop acreage grew 95.8% to a record 53,200 acres. Now, there's a glut and (as some 'craft' breweries fail to honor their orders), some hop farmers and brokers are facing a crunch. — Via Tara Nurin, at Forbes. Willamette, Mt. Hood, Liberty, Sterling, Cluster, Cascades, and other hops, integral to U.S. 'craft' beer business: all of those are, to no small extent, the handiwork of one U.S. government hop breeder, Dr. Al Haunold. — His story, via Gary Gillman, at Beer et seq. Years ago, when social media became ascendant, blogs did seem doomed. But then the limitations of social media presented themselves: conversations were siloed, information was lost after a few days, and longer, nuanced points were all but impossible. Blogs are faster and more interactive than magazines, but more thoughtful and permanent than social media. 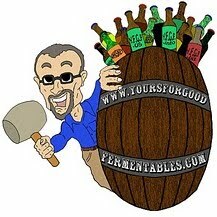 Beer blogs are far from dead; in fact, one could argue they’re more indispensable than ever. 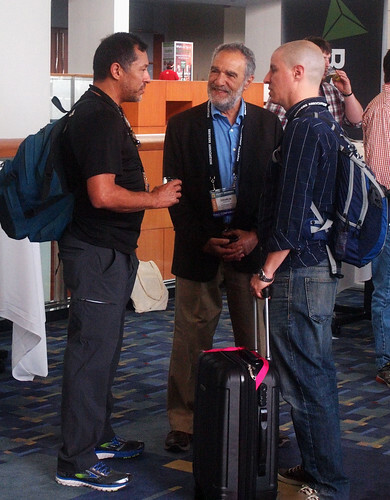 The 'godfather' of American homebrewing and 'craft' beer, Charlie Papazian, announces his pending retirement from the [U.S.] Brewers Association, the organization he founded (along with American Homebrewers Association and Great American Beer Festival), effective January 2019. — Via American Homebrewers Association. A stunning opening shot: a lager from the man who wrote the book on IPA: Euphonia Pilsner, from Mitch Steele, at his not-yet-three-weeks-old New Realm Brewing. CAMRA will not extend its current support of the off-trade. Quality beer is vaguely synonymous with craft beer and as good a term as any for this conversation. These proposals will now need to be accepted at the annual general meeting in April. — Via Boak & Bailey. The company’s financial models were based on 20 years of consistent growth but the explosion of microbreweries has led to changing dynamics in the marketplace. This dramatic shift occurred just as Smuttynose committed to a major infrastructure investment with the construction of the new production facility. As the turmoil in the marketplace stabilizes, Smuttynose, a trusted brand with strong consumer loyalty, can regain its footing with a major infusion of capital. — Via Beer Street Journal. Incroyable! 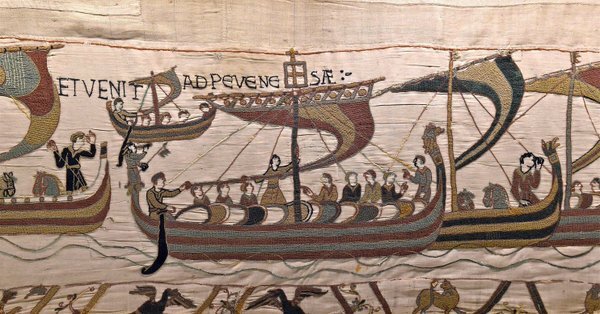 For the first time in 950 years, the Bayeux Tapestry —the 70 yard-long tapestry that tells in pictures the story of the Norman Conquest of England in 1066, a pivotal historical event for Britain —returns to Britain, on temporary loan from France. Beer rating social-media app UnTappd has released its list of the top ten 'checked-in' beers during 2017. Seven were IPAs, including the most 'checked-in,' All Day IPA, a so-called 'session IPA,' from Founders Brewing of Grand Rapids, Michigan. In second was Bells Two-Hearted Ale, also an IPA. NASA data show that the years 2015, 2016, and 2017 were the three hottest years ever recorded. Furthermore, 17 of the 18 hottest years recorded since 1850 have occurred since 2000. Nearly all the members of the National Park System Advisory Board —which designates national historic and natural landmarks— resign after Interior Secretary Ryan Zinke refuses to convene the board's meetings. 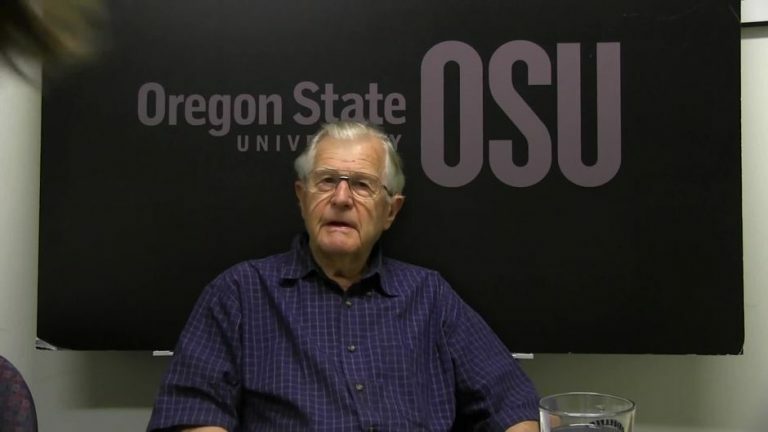 When a nuclear engineer's avocation becomes part of American history. The "charismatic" wooden spoon that Charlie Papazian —founder of the American Homebrewers Association (among many other 'craft' firsts)— has used to brew homebrew for more than forty years— is being displayed by the Smithsonian's American History Museum in its American Brewing History Initiative. 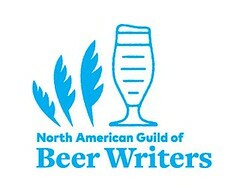 — Via [U.S.] Brewers Association. Green Flash Brewing (of San Diego and Virginia Beach) suddenly cuts its workforce by 15%; pulls distributon from thirty-three states (comprising 18% of its total sales). Is this yet another 'canary in a coal mine' warning for 'craft' beer? Is it a 1990s redux? Or is it merely solid business readjustment? — Via Craft Brewing Business. You have been up to 3.7% beer on occasion, no?